Warren Buffett, one of the wealthiest billionaires of the 21st century, said that “risk comes from not knowing what you’re doing.” Whether it’s from books, seminars, blog articles, or anything else, you must read and learn from the best investing guides out there. If you don’t you will likely waste money on “investments” that are doomed to fail, and you will also be VERY easy to scam. Like what Jim Rohn said: “Formal education will make you a living; self-education will make you a fortune.” If you start properly educating yourself, you will most likely learn the next nine lessons on your own (and you will also learn several more valuable and advanced lessons as well). This is usually the opening chapter of investment books and the central theme of many finance books (like “The Millionaire Next Door ”): Before you start investing on ANYTHING, you must FIRST learn some good financial habits. It will be near impossible to grow wealthy through investing if you’re always abusing your credit cards, getting into more debt, and if you continue living paycheck to paycheck. Start with a budget or savings plan (you can use smaller percentages first) and learn to control your expenses until it becomes a habit. This is one lesson you ALWAYS need to keep in mind: There are NEVER any guarantees of profit. Ignore the “approximate” returns as they’re usually the best case scenario, and run away from any broker who “guarantees” a very high profit as it’s most likely a scam. “My sister invested $1,000 in this mutual fund and in six months she had $1,500!” Experienced investors learn to stay away from stories like that. My friend invested all of his savings into that particular fund and his investment grew a further 10 to 20% in the next few months. Excited by his profit, he invested a couple of hundred dollars more… until a few months later when the fund’s value DROPPED. My friend’s initial investment LOST about a third of its value in less than three months (so much for that “best performing fund”). Again, there are no guarantees in life. Even the best investments have a chance of failure (due to earthquakes and disasters, theft, changing markets, etc.). Don’t invest the money you should spend on necessary food, water, electricity, or your children’s education just for the sake of investing. Invest the money you would have wasted on worthless luxuries like expensive gadgets and brand name coffee. Again, learn proper personal finance first. Contrary to what most people believe, stocks are SAFER and more Profitable than bonds in the long term. If you want to see the graphs and research, I suggest you check out “The Single Best Investment: Creating Wealth with Dividend Growth ” by Lowell Miller and “The Ten Roads to Riches: The Ways the Wealthy Got There (And How You Can Too!) ” by Kenneth L. Fisher and Lara Hoffmans. Ever heard the phrase “don’t put all your eggs in one basket”? Don’t just invest in a couple of companies; invest in a lot of different companies in different industries. For example, if your only investments are stock shares in a particular computer manufacturing company and competitors all suddenly come up with better products, your shares will likely lose value (see “The Innovator’s Dilemma ” for how new innovations kill entire companies). Another example is if you invested in multiple companies… but they’re all in the real estate development industry. If the real estate market crashes, you’re in for a lot of losses. Diversify your investments by selecting great companies in different industries. Lowell Miller, the author of “The Single Best Investment ” suggest that you should have at least 20 or 30 different companies in your portfolio. If you can, don’t just invest in equities (stocks, etc.) but try different asset classes as well (like real estate, but only if you’ve studied them well). If you want an easy and less volatile investment (as opposed to researching and selecting individual stocks), then this is what John Bogle, the former CEO of the Vanguard group and creator of the first Index Fund (Vanguard 500), recommends. Unlike most mutual funds that speculate/gamble on the next big companies to maximize profit, Index funds tend to emulate the market itself (and that’s why it has the advantage of diversification as well). While it generally won’t become part of the “10 best funds” list, it won’t become part of the “10 worst” either (Remember: past performance cannot predict future performance). 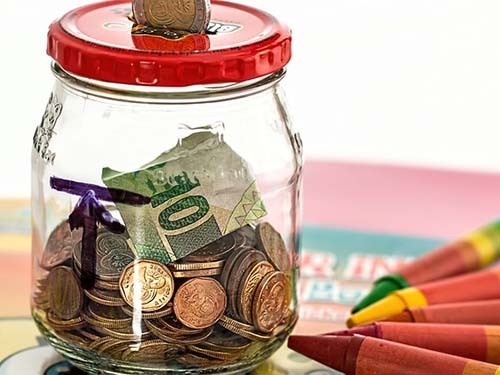 Aside from that, Index Funds generally have lower management costs compared to other funds that tend to take a large bites out of your investment over the long term, whether you profit or not. One of the worst things you can do is to let your emotions affect your investment decisions (or any financial decision for that matter). If you get too excited about a “hot” stock, you might buy it when it’s overpriced and lose money as it returns to its normal value. If you get too excited on a little profit, you might sell prematurely and miss out on greater profits. If you get scared of market downturns, you might sell profitable companies at a loss only to watch them return to their higher values as the market recovers. Study and choose solid companies and stand by them as they stay profitable, no matter what the market might do to the stock price. 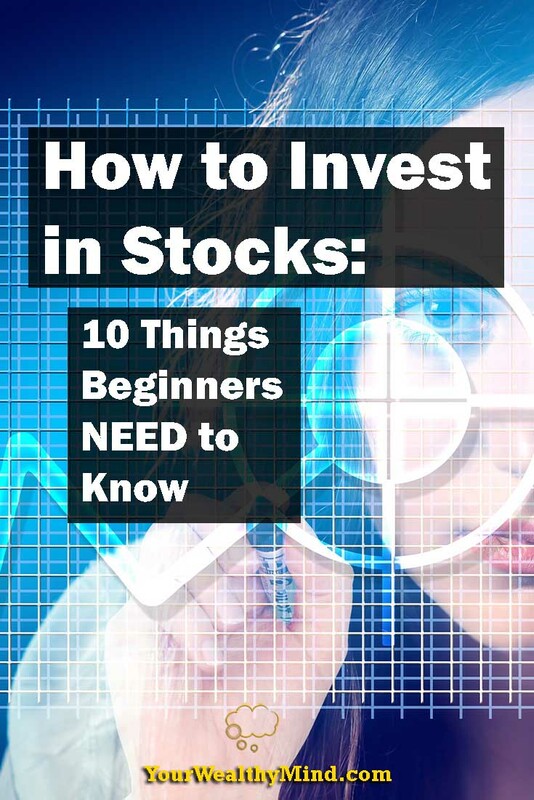 These are just the top 10 beginner-level investor tips that I’ve learned from the writings of multiple experts. There are several others out there that I won’t discuss for now (like money-cost averaging), but stay tuned for them!